Lynne Malcolm is passionate about people and their personal experience and when she least expected it she discovered the power of radio to tell their stories. She is a graduate from the University of Sydney, majoring in psychology, education and anthropology, and has a graduate diploma in communications from the University of Technology in Sydney. 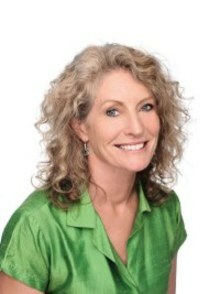 She has been producing and presenting radio across a range of programs over many years in the areas of science and health and has received a number of media awards, including bronze and gold Medals in the New York Radio Festivals International Awards, the Michael Daley Award for Journalism in Science and finalist status in the Eureka Awards. She has also won two Mental Health Services media achievement awards for All in the Mind, one in 2007 for her series on schizophrenia, and one in 2013 for two programs on youth mental health. In 2014 she was awarded The Mental Health Matters media award for her contribution to mental health awareness on All in the Mind. She was awarded the 2017 Mental Health Services in Australia and New Zealand Media Award in the category of Sound/Vision Journalism for a series of three programs from All in the Mind, titled ‘Understanding and De-stigmatising Mental Illness”. She has been on a range of media award judging panels and she regularly hosts and speaks at public events in relation to the mind and mental health.